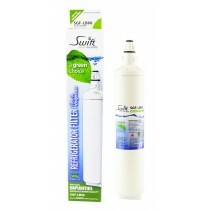 Finefilters Swift filter is a really good replacement for the GE filter.This is our second filter and the first gave excellent service. Have purchased another two. Also Finefilters' delivery very quick. 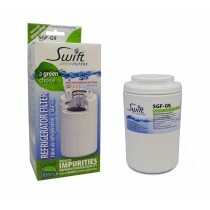 Finefilters delivered really quickly and the Swift Filter is a really good product at nearly quarter of the price of an GE Charcoal unit. Recommended. Twisted straight in just like the old GE one - but at a fraction of the price! 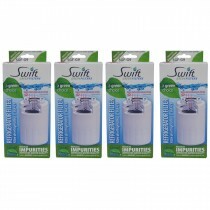 Quickly delivered, excellent quality and great performance. 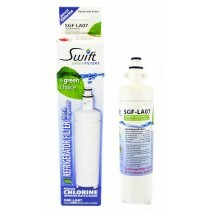 Totally confident to recommend this product which is a third of the price of the OEM part! Arrived very quickly, slightly different in size to GE filter ( longer and slimmer) but has the right size connection on top. Works well seems to be very good but after just a week it's hard to make a fully measured judgement.